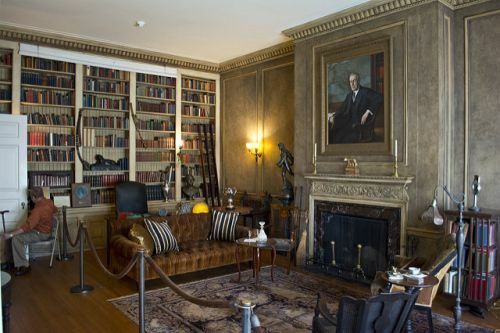 President Woodrow Wilson moved here for a quiet retirement after the disastrous setbacks of his late presidency, and lived here for little over 3 years before he died (he was buried in the National Cathedral). President Woodrow Wilson moved here for a quiet retirement after the disastrous setbacks of his late presidency, and lived here for little over 3 years before he died (he was buried in the National Cathedral). The pretty Georgian Revival-style house is preserved as the Wilsons left it, with a nice collection of period furnishings and clothing.